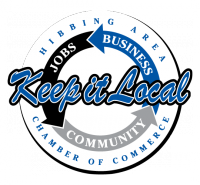 Grab your friends, family or teammates and join world wide efforts to clean up the Earth right here in Hibbing! Kick-off at 9:00 a.m. in the Hibbing Memorial Building Parking Lot. Dumpsters and recycle bins will be at the MB Parking lot for collection. Everyone can help! Spread the word and/or volunteer by collecting and disposing of trash and recycling and make a commitment to sustainability! LIKE "Champions for Sustainable Community" on Facebook!